After seeing one of my favourite bloggers review this palette I knew I wanted to buy this palette, it has so many vibrant colours. 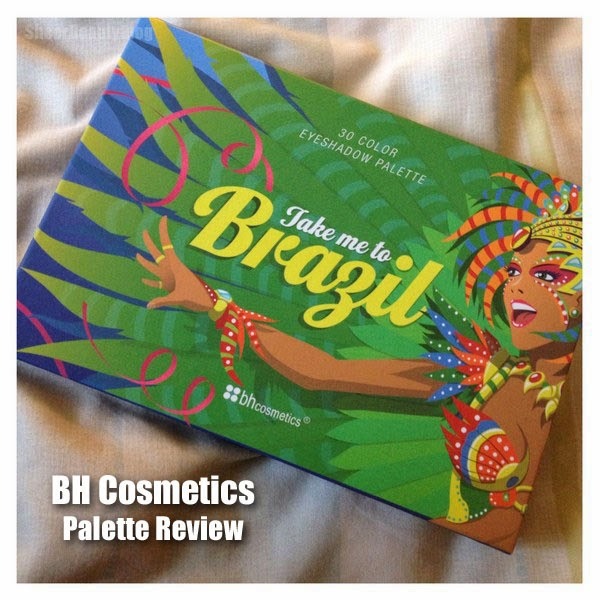 This palette is called Take me To Brazil, BH Cosmetics describes this palette as wild and exotic with 30 eye shadows this palette has a collection of shimmer, satin and matte shadows. I hope you enjoy this review! All of the shadows in this palette are beautiful some applied better then others but for the most part I didn't have an problems with application of the shadows. The only shadows I did have a problem with application was numbers 2, 3, 4 and 16. My favourite shadows are the shadows in the last row of the palette I really liked the shimmer shadows the best. This palette comes with 30 shadows, 28 shadows of normal size with 2 shadows that are larger which are the shadows that BH Cosmetics thinks would get the most use the black and a white iridescent shadows. I have to say I don't like the white shadow I don't feel like it would look good on every skin town and I wish there was a row of some brown shadows as well. Overall I do like this palette and if your looking for a colourful palette that's not going to cost you an arm and a leg lol, I would recommend this palette. 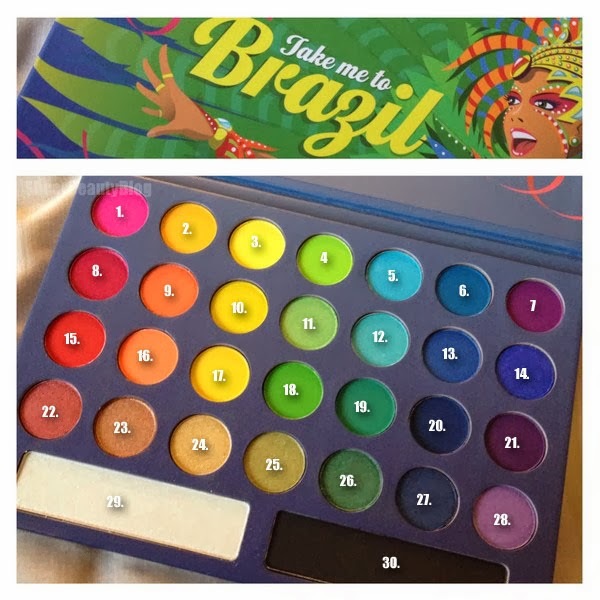 BH Cosmetics Take Me To Brazil is sold online from BH Cosmetics website. Do you think you will be getting this palette? Great colors!! For someone who loves color on their eyes, this is a good palette.